While you can get a Turnover pastry at many stores and delis nothing really tops a homemade turnover pastry and one of my favorites to make is this Blueberry Vanilla Cream Turnover. The Blueberry Vanilla Cream Turnovers ingredients are listed below. 3 oz. cream cheese, softened (a little less than 1/2 a standard package. 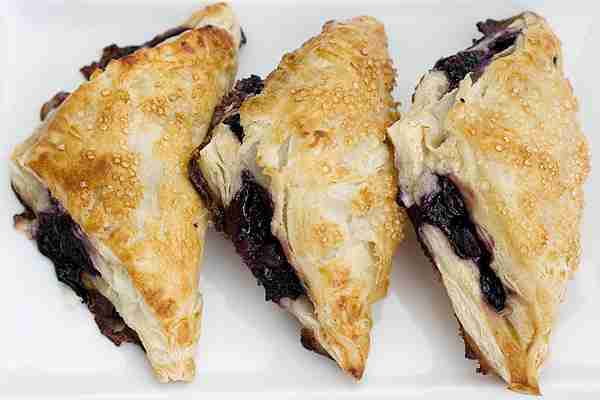 The Blueberry Vanilla Cream Turnovers ingredients and cooking instructions can be viewed through the link below.